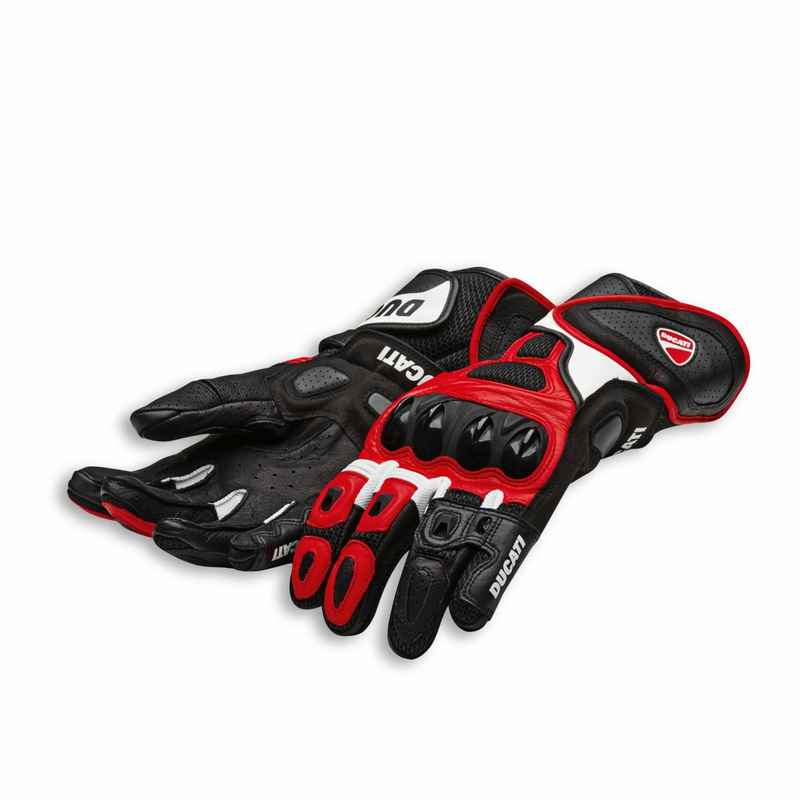 Made of perforated cowhide leather and 3D mesh, and designed with air vents on the fingers, Ducati Speed Air C1 gloves are perfect for sporty summer rides. 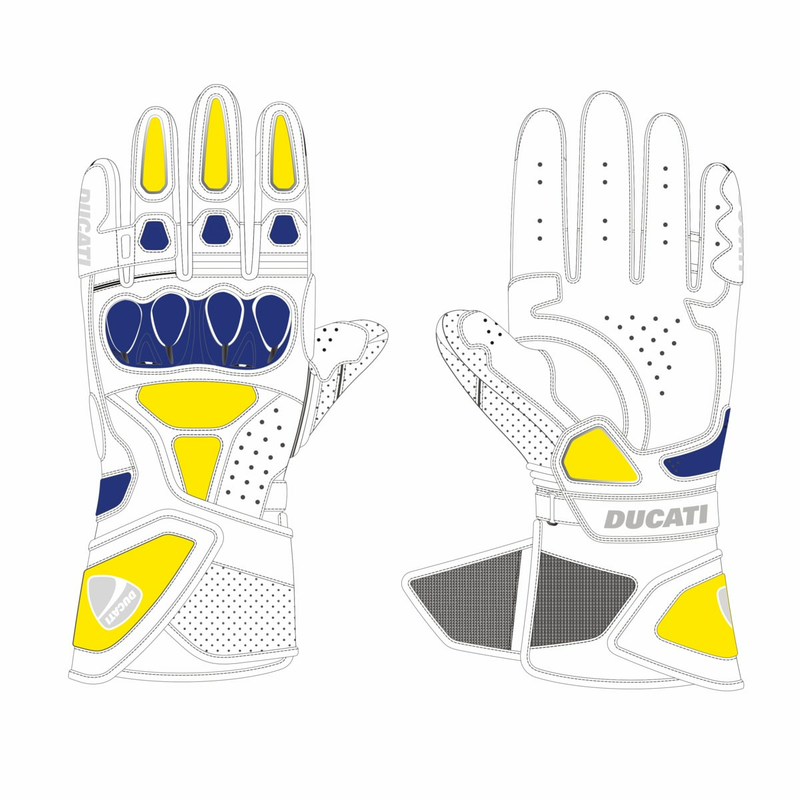 Produced by Alpinestars in two color variants, they have TPU protectors on the knuckles and palm, soft E.V.A. inserts, and are CE certified according to the latest European standards. 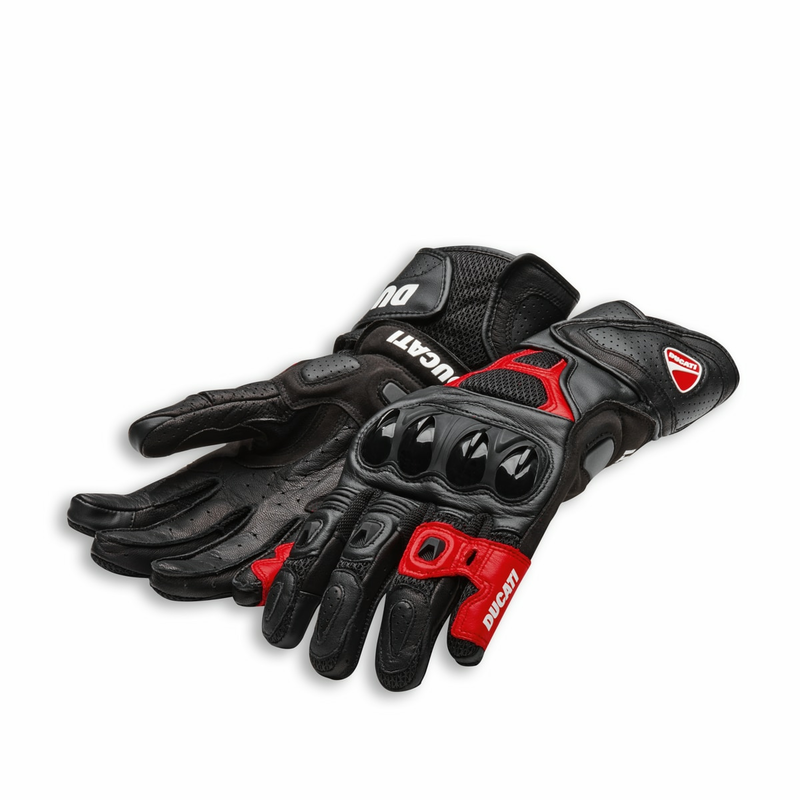 Riding comfort is guaranteed by the pre-shaped construction, elasticized areas, wrist and forearm adjustments, and index finger and thumb touchscreen inserts that allow the use of smartphones or GPS even with gloves on.